The next goal after graduating from university is to get your foot on the career ladder. If you want to be offered the most suitable graduate role it is essential that you have a strong CV. Having a strong CV will help set you apart from your competition and will enable you to be noticed by recruiters and employers. Your CV should be no longer than 2 pages and is the first document an employer will see, so it needs to look professional and show employers that you’ve got the skills they’re looking for which will leave a great first impression. What do you need to include on a graduate CV? Before stating your education and employment sections, you should start your CV off with a short profile summary which should be between 4 and 6 lines. Your profile summary should be focused around the role you’re applying for and how you have the skills the employer is looking for. The education section on your graduate CV should list the most relevant qualifications that you have. Starting with your most recent qualification, your degree, you need to ensure that you include all related information (the university, degree title, dates studied from, qualification). You can also include some modules that you have studied which are related to the role you are applying for if your degree isn’t specifically in that area. It will be expected from employers that you also include more than just your degree in this section, you’ll also have to include you’re A-Levels/B-TEC courses and your GCSES’s. A list of subjects and grades aren’t needed in this section as it can take up valuable space, however it is recommended that you can state a list of grades, for example 4 A Levels, 2 AS Levels and 10 GCSEs. After spending the last 3 years at university, you may not have a lot of experience to write about in this section. However, if you have completed a placement within university, this section is where you want to state all the transferable skills that you have acquired. You should list all your experience in chronological order starting with your most recent. You want to include a start and finish date in your list of employers and a brief explanation of what skills you have learnt and what your daily duties consisted of. Even if the experience you have doesn’t match up with the skills needed for the role you’re applying for, you can still highlight the soft skills that you have gained i.e. communication, team working, organisation and time management. You should try to include all job positions held, but only go into more detail on the most relevant positions. Be sure to always think about the skills that the employer is looking for, so you can constantly refer back and demonstrate how you have gained this skill throughout your employment history. You should start your description with your strongest skill and work your way backwards. Towards the end of your graduate CV you should then include your hobbies and interests which will tell the employer a bit about your personality. It is important to include this section on your graduate CV as it shows your employer that throughout university you had commitments which can show motivation. This section is perfect opportunity to include if you were part of a membership or society and if you were part of any volunteering projects. Bear in mind though that this section should only be short and brief and consist of 8-10 lines. Under your hobbies and interest section you should write a brief sentence on any additional information i.e. holding a driving licence. It is important to include referees at the end of your CV. 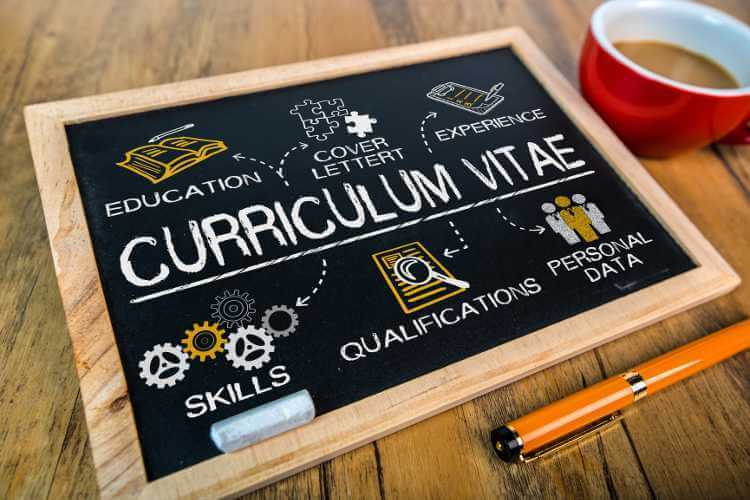 On your graduate CV, you should include 2 referees, one being academic and the other being a previous manager in a part time or placement position. It is recommended that you include the name and contact details for both referees on your CV, but if you are lacking space then you can state that the references are available on request. If you want to make your CV the best it can be then click here. If you want to start applying for jobs the click apply to view IT graduate jobs.